It suddenly stopped printing colour even though a good full cartridge was installed. After a few weeks stopped printing even black with a ull cartridge. Had similar problems with a HP printer before but that was due to faiure of a couple of resistors on a driver board inside which were obviously burnt. Replacing them restored the printint. Any solutions to the Lexmark problem? All problems on this page have been submitted and answered by users. 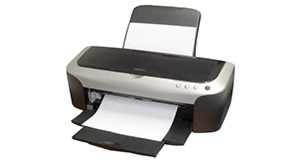 If you have a problem with the Lexmark P3150, please submit it below and we'll post it here. Problem: It suddenly stopped printing colour even though a good full cartridge was installed. After a few weeks stopped printing even black with a ull cartridge. Had similar problems with a HP printer before but that was due to faiure of a couple of resistors on a driver board inside which were obviously burnt. Replacing them restored the printint. Any solutions to the Lexmark problem?